Painting is a process that can’t be rushed. Interior painting takes a lot of planning and preparation. After giving careful thought and consideration into which color you are going to choose, you need to move furniture, lay down drop cloths, and get all of your supplies ready to go. A common question that homeowners ask is what are the ideal conditions for interior painting? Here is a brief explanation of this frequently asked question. Humid weather is not ideal for painting. This is because it will take longer for the paint to dry because there is a lot of moisture in the air. Although you want to take your time with any interior painting project, you also don’t want to have to stretch out your project for days when you don’t have to! Keep an eye on the weather forecast and try to avoid painting on rainy days. 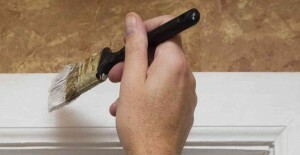 If you were to paint on a humid day, you are probably going to have to wait a more extended period before you can apply a second coat of paint. There is not exactly a correct answer to this question. Painting can be done during any season. You just want to monitor the temperature and avoid painting on days where it is overly hot or freezing cold. You will also want to make sure the room that you are painting has sufficient ventilation. This may require you to crack open a few windows to get more airflow through the area. It is important to realize that painting a room can take a considerable amount of time. This is especially the case if there are intricate areas. For most people, it is a good idea to set aside an entire day for painting a room. Try to dedicate a day over the weekend to carry your interior painting project. Also, it is important to note you are best off starting your project early in the morning. This is because you want the first coat to have ample time to dry before you apply a second coat of paint or primer later in the day.